After 27 years of selling real estate, I’ve come to notice the gap in professionalism in the real estate industry. I see agents who are doing a stellar job, rising above and beyond in their efforts to bring their clients the very best in the industry. I also see agents who do the bare minimum required to sell a home. The sad truth is that many unsuspecting home sellers don’t know the difference. I’ve written extensively on the issues surrounding the sale of your home, and have taken a strong stand on the need for an experienced, capable real estate agent to market your home. 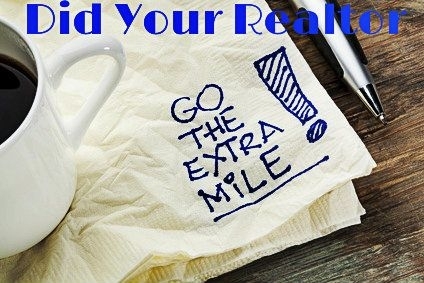 I know there are some other excellent Realtors who feel exactly as I do so I’ve asked my social media friend and fellow real estate blogger, Karen Highland, of The Highland Group – Frederick Maryland, to share her thoughts on what sellers can and should expect from a real estate agent if they desire excellence in service and marketing. Karen and Chris Highland have been helping buyers and sellers for 22 years, and feel passionately about offering the very best in real estate marketing and services to their clients in central Maryland. All you need to do is check out their real estate marketing videos and photography to know they practice what they preach! Along with leading their team, Chris is the residential sales manager at his brokerage and mentors newer agents. Karen trains and coaches in internet marketing, and writes for their blog, Frederick Real Estate Online. Chris and Karen always have something to say, and fortunately for me, they have agreed to share some of their passion with us. Take it away guys! Are You Settling for Less from Your Real Estate Agent? “Bill Gassett has been so gracious to ask me to lend my insights through a guest post on his real estate blog. 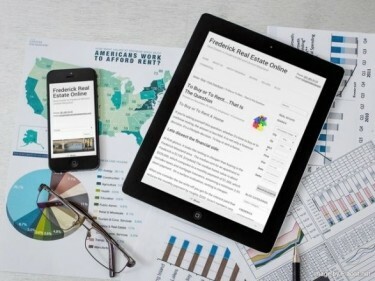 This post is my version of what I know his readers have often heard from him: Home Sellers: You Can, And Should Expect More from your real estate agent! Is the Realtor Able to Handle the Complexities of Today’s Real Estate Sale? I remember when the pages in a contract to purchase a home could be counted on both hands. 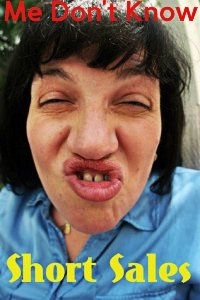 Yes, I’m certainly dating myself! The last contract I had in both hands was far heavier and had upward of 60 pages, with all the disclosures and addendum’s. To say that the process has become complex is an understatement. Today’s Realtor has to be more than just proficient in the process and the language of the contract; they need to be replete with experience and technical expertise. They need to have a holistic view of where we are in the local real estate market, and where we’ve come from. They need to have a view of other aspects of the real estate industry in the same way…what is happening and why. As we have seen changes in the industry, our understanding of the issues has deepened. Having that background knowledge is an invaluable for a real estate agent. We recently got a call from a homeowner who, with his wife, has been looking for a home for two years and were emotionally exhausted from their efforts with two different real estate agents. They put an offer on a short sale and waited 9 months to find out that their offer was not accepted. We were astonished to hear their story because that should have never happened. If their agent had known anything about short sales, they would have known that a bank would never approve an offer with a house to sell contingency. • An agent may not want to specialize in short sales and go through the training and hard work of learning the process, but they still need to have a basic understanding of the issues surrounding a short sale. If they represent a buyer in a purchase, they are not doing them any favors by not having a depth of knowledge about all the aspects of real estate. • As with short sales, there are many changes in the real estate industry that have impacted the way we buy and sell. A real estate agent need not specialize in everything, but they need to have a holistic understanding to help buyers and sellers with whatever they may possibly encounter. 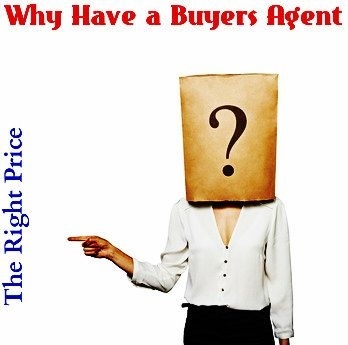 • On the flip side, just because an agent specializes, doesn’t mean that they don’t need to know enough about all other aspects to help their clients. You should expect your listing agent to have that experience and know-how, or at least have resources to draw upon for it. After vetting the best offer, there are many moving parts to the sale of a home. The success of the transaction depends largely on the skill of the listing agent to negotiate, handle inspections, follow-up, and see the deal through to the closing. Many sellers are quick to realize that the listing agent really earns their pay during the time from contract to close. This is the time when experience and local know-how are most valuable. What does all this mean to you as a seller? You should expect your listing agent to have that experience and know-how. Our single-family listing in a desired neighborhood sold in 3 days with 2 offers. At the home inspection, a crack in the foundation brought up a concern. Our seller had purchased the home 10 years earlier as a new home, and in the first year, the settling of the home resulted in a crack. The builder sent an engineer to study the crack and determined it was not of consequence. The buyers, however, in a state of panic, asked for a $5,000 repair in the home inspection response, at the encouragement of their (inexperienced) agent. We brought in an engineer for a small fee and he gave us his opinion that the crack was still just the result of the initial settling, and was still of no consequence. With his expert opinion, we were able to calm down the entire situation. We all settled happily. • We’ve seen dozens of, maybe more, foundation cracks. There are inconsequential cracks that result from the home settling, and there are serious cracks that warrant foundation work. Every crack, or every problem, should not elicit panic from the agent. When real estate agents encourage panic-driven actions at the first sign of any problem, it never helps the situation. It actually minimizes truly serious problems that sometimes occur, by turning every problem into something serious. An experienced negotiator will approach problems with an appropriate solution, not with drama. Every real estate agent should have a basic understanding of major home inspection issues so when they surface they are better equipped to handle the negotiations. This is what our clients expect from us. Our purpose isn’t to collect offers and wait to pass go like Monopoly! • Approaching problems with a “scorched earth” policy blows them out of proportion, and makes their resolution that much more difficult. To address a problem with the request of an expert opinion is usually much better than asking for an exorbitant dollar amount for a fix… a fix to something that is not yet even clearly defined. An experienced negotiator will move toward further understanding and clarity, resulting in real workable solutions. The problems become hurdles rather than road blocks. • Creating drama, panic, or adversarial conditions does NOT equal the duty to advocate for your client. An experienced and professional agent will not create drama. Rather, they will look for clarity and solutions. In recent years, we’ve seen upheaval in the financing industry. Getting a mortgage is often a process that takes planning and strategy, as there are many types of loan products and more scrutiny involved. What does all this mean to you as a seller? A listing agent does much more than market a home. They vet offers, and in that process, they must have an in-depth knowledge of all of the possibilities that each offer presents. This includes the credibility of the buyer’s financing, the potential of all contingencies presented, and the ramifications of inspections and their outcomes. The nuances of a transaction can be many. You should expect your listing agent to have that experience and know-how. Our seller’s received two offers on their home. One of the buyers was using a loan program which had a down-payment matching feature for county workers. After a quick perusal of the pre-approval letter, Chris remembered that the program was for county workers, but not for school teachers, like this particular buyer. Without the matching funds, they were not able to come up with the down-payment. The lender should have known, but we didn’t know that lender, and we know better than to assume. We encouraged our sellers to accept the other offer, resulting in a successful settlement, without the wasted time and heartache of watching the first contract fall through. There are many moving parts to a real estate transaction. The nuances of all of these parts are learned over years of real estate sales. The industry changes have meaning to the way a listing agent guides their sellers through the transaction to the best settlement possible. Make sure you choose an agent with a depth of experience. Home sellers, you can and should expect more. When you are considering a listing agent, ask them to tell you their stories. Listen for depth of understanding, even if you don’t understand all of the issues yourself. After all, you should expect the very best when you are selling your home, probably your biggest financial investment.These are just a few quick examples – there are many more! Choosing a great real estate agent is not about picking the one that gives you an unrealistic market value or that whispers in your ear they will have your home sold in 5 days because they are #1 at everything they do. Pick an agent that has your interests at heart and the knowledge behind them to represent your interests every step of the way throughout the transaction. This is the kind of real estate agent you will be smiling at across the closing table! I work the Denver Metro Area market. I am seeing every day more and more realtors that are trying to beat the upside market by doing inspections and asking the seller to repair absurdities. For example, the blind (5) dollar blind of the Kitchen to be replaced, and 10 or 20 items on an inspection objection, thinking that writing and inspection objection will bring riches to their buyers. Is not like that, they are waisting precious time of their clients as well the seller, and so on. I don’t know if this is a market tendency or are just isolated cases of agent stupidity, but I am seeing happening more and more. David you are not alone. I see the same thing here on occasion from buyers agents who have no control over their clients. They make ridiculous demands and totally alienate the seller. Many of these people think they are top notch negotiators when in fact they are shooting themselves in the foot. I love this article for two reasons. I for one, only being an agent for four years, am seeing absurd things from sellers and buyers. Stuff that floors me. Sellers wanting their asking price and nothing else. Sellers not willing to negotiate anything, or in return buyers wanting a new septic system because it might fail 10 years down the road. I sold my own home last year. We had two non structural foundation cracks. We repaired them ONLY because the buyer insisted and Only because we wanted to move on. The foundation injection company that came in to repair the surface cracks thought we were nuts! I also can’t get listing agents to call me back, send disclosures and follow up on their sides of the transaction. I even had to call a broker this year to ask where his agent was because I was not able to get returned calls or Emails or Texts. I am amazed at the change I have seen in two years in the business. Thanks for the article because I think basically, this is happening around the country….Good luck. Another great post Bill. What’s wrong is our compensation model is the best realtor and the worst realtor could potentially charge a client the exact same thing. And a buyers agents client almost never writes the check for the value of the service performed by their agent. Certainly many provide excellent service in excess of what they are paid. But I’m afraid based on my experience many agents receive excellent compensation for mediocre work. The challenge remains to make this a far tougher license to acquire and keep to attract a higher and more dedicated caliber of agent. Jim that is a big problem with commission based sales. It is far too easy to break into this business. In my mind that is the biggest hurdle the industry faces when it comes to the quality of the agents. I inherited a home out of state, where my brother lives, and he is mostly in charge of selling the home. He interviewed several realtors and settled on one. Now the fun begins. I would like to know the specifics, of what we should expect our realtor to do, to sell our house. 2. List in Zillow, Trulia ? 3. How many open houses ? 4. Does social media really have any impact ? 5. What type of internet ads should he be paying for to help promote it ? 6. What else does a top realtor do to get a house sold ? What does a GOOD realtor do ? Since they probably won’t be the one selling the home, what methods should my realtor be doing to market the home to other realtors ? I would appreciate some type of checklist, so we can make sure our realtor knows we know what he should be doing.